wow wow wow! 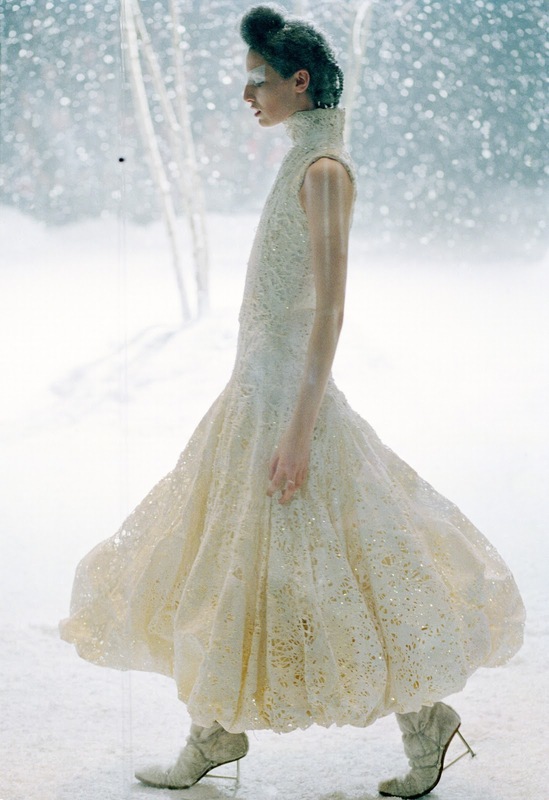 I have just received a call from the legendary Chris Moore whom had just sent me this incredible photograph of Erin O’Connor back from Alexander McQueen’s Autumn Winter 1999 – 2000 collection and had to share with you! For those of you who don’t know – this collection was inspired by Stanley Kubrick’s ‘ The Shining’. 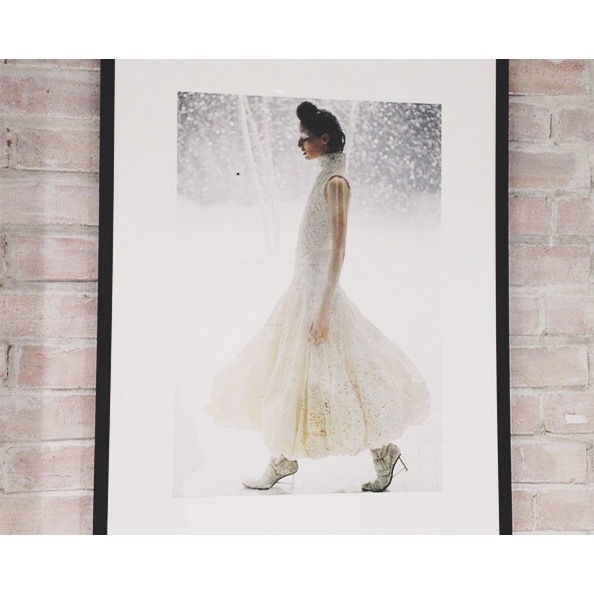 The show environment was an arctic, frozen tundra with a blizzard of snow and ice contained within a plexiglass cube. Icelandic sportswear included padded parkas, ponchos and chunky knits mixed with more nostalgic cutaway frock coats and long ballooning winding skirts. The collection had an incredible decorative, romantic mood was played out in the delicate colour palette of dusky pinks, greys and greens. This entry was posted in Latest News and tagged Catwalking, Chris Moore, fashion. Bookmark the permalink.